Let’s face it, just about everything adds up around any gift giving season. The lists, the plans, the to-do’s and the presents. Whether you’re looking to put a little thought together for a teacher, or just need a cool gift idea at a reasonable price point – we’ve got you covered. Check out some of our favorite gift ideas below. And the best part? They’re all under $20. Phew! Perfect for the photog wanna-be and beginner. They can stroll down memory lane and relive concerts, shows, sporting events or their middle school play! This colorful set of 100 gets the imagination moving. Perfect for the book lover (or librarian!) Banned classics are revealed once they add their coffee or tea. Available in several colors, this aluminum stand is sturdy, but compact. Let’s hear it for functional! This set includes a sampling of lip balm, facial moisturizer and facial cleanser. 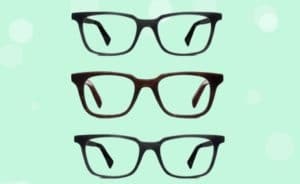 Everyone can appreciate scratch-less eyeglasses! Set it on a desk or nightstand, and the plush interior keeps glasses safe. Available in several colors and patterns. Awww….No you can’t keep him for yourself. A helping hand in a little bag. Includes Almond Milk Hand Cream, Lemon Butter Cuticle Cream, Shea Butter Hand Repair Cream, and 1 pair of cotton gloves. A 6 piece flight inspired by desserts from around the world. Includes a chocolate lava cake truffle, a strawberry creme tarte truffle, a tiramisu truffle, a black forest cake, a creme brulee truffle, and a vanilla dulce de leche truffle. Because there are still some sharp fellas out there, who like to wear a suit. Now everything can be all unicorns and rainbows! Support Systems: Windows 7/8/XP/Vista/Mac OS(10.2.8) or higher. Gamers and rainbow lovers unite! Perfect for the girl who’s always cold, or the mom who’s always in the rink or on the field. Mini Potato Heads on the go! Includes 4 little Potato Heads and pieces to mix and match. A cool way to mark your balls (golf balls). Other stencil designs available. Grab a stack full of arm candy. Launch these rockets via sling-shot and send them up to 250 feet. Rad. For the Barbie Doll fan, who loves sports. Inspired by soap used by GIs during the Korean War, this soap smells great without being overpowering. And it’s pretty funny. For the kid who is still obsessed with all things slime, this starter kit has Clear School Glue & Glitter Glue Pens. These are soy awesome, they’ll be raw-kin’ around the Christmas tree. We’re on a roll! Ok, we’re o-fish-ally done. Ok, now we’re done. Includes a headed allen set, patch repair kit, (2) metal tire levelers, glue, buffer, and bone tool. Perfect gift for a photographer. BPA free, with 12 ounce capacity this is a replica of Canon Lens Model EF 24-105mm f / 7L IS USM Lens. This cute little tea set is made from environmental friendly materials – including 100% recycled plastic. Other color combination available. Great for holiday travel or just to take on the go….Because they can only stare down at their laps playing video games for so long before getting neck cramps. Perfect for the beach obsessed, these wave rings are also available in silver and yellow gold. Maybe not all heroes wear capes, but these pencils sure do! Check Out Some Of The Hottest Toys This Season!